Kudos to Nokia Lumia and Microsoft for capturing these living moments. 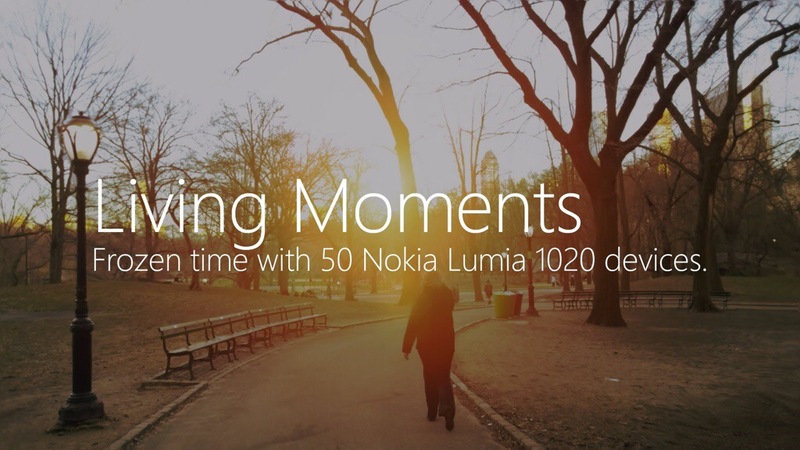 To “capture New York City moments…in a new and interesting way,” 50 Nokia Lumia phones were rigged into an arc-shaped camera array to allow the capture of over still 30,000 images. Those images were then sequenced with the accompanying sounds into a dizzying video reveal of each frozen moment. It’s a totally new, unique attempt at street photography. Check out the Living Moment video and behind the scenes below!